Comcast has officially submitted a $65 billion offer for 20th Century Fox's assets, which the company has already agreed to sell to Disney. This comes as expected given that a federal judge has ruled in favor of the AT&T merger with Time Warner, which is valued at more than $85 billion. With that deal approved, Comcast believes their purchase of Fox's media assets has a much better chance of being approved, so they've now put in their unsolicited offer for the Rupert Murdoch owned company. This could result in a massive bidding war that will shape the industry for years to come. Let them fight. Disney won out last year when 21st Century Fox was officially fielding offers for the majority of their assets, which includes their movie studio 20th Century Fox, their stake in Hulu, a host of regional sports Networks, FX, National Geographic and, their stake in international broadcaster Sky and, most importantly in the eyes of many movie lovers, the rights to the X-Men, Fantastic Four and Deadpool franchises. Disney's offer was $52 billion and all in stock. So not only is Comcast's bid 19 percent higher, but it's in cold, hard cash, which is surely appealing to Fox. Here's what Comcast's CEO Brian Roberts had to say in a letter to Fox's board and the Murdoch family. "We were disappointed when [Fox] decided to enter into a transaction with The Walt Disney Company, even though we had offered a meaningfully higher price. We are pleased to present a new, all-cash proposal that fully addresses the Board's stated concerns with our prior proposal." Initially, Comcast was in the running for Fox's media assets and they did indeed put in a higher offer. 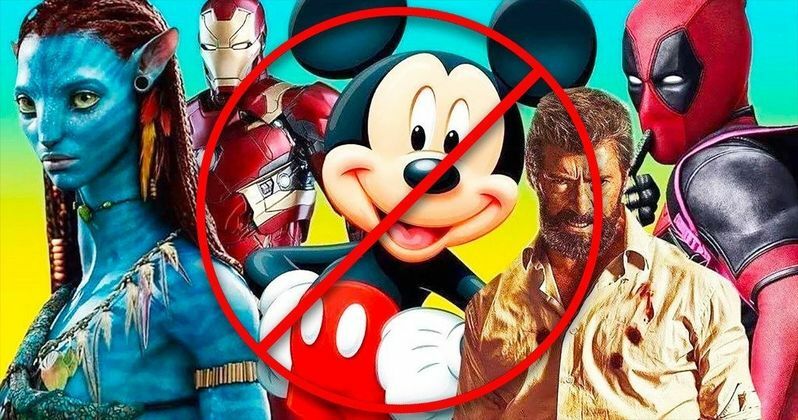 However, at the time, Fox felt that the Disney deal had a better chance of being approved by regulators and that, overall, it was a better fit. But now that the AT&T deal has been given the green light, all bets are off. As of this writing, Disney has not yet responded to the counter offer but it's expected that they won't just concede to Comcast. For Marvel fans, this would be a huge blow. Marvel Studios was set to be in control of virtually every character in their library, opening up endless possibilities for the future of the Marvel Cinematic Universe. As for the larger picture, as far as Disney is concerned, this deal was going to help give them a big edge in the streaming game, which will be huge for the future. Owning Fox's stake in international broadcaster Sky was also seen as a majorly attractive element of the Fox purchase. Just because Comcast has made a higher offer doesn't mean that Fox will take it. If they cancel the Disney deal, they will have to pay a very large, multi-billion dollar penalty. Not only that, but it will set the sale back by months, which is far from ideal. But $13 billion more all in cash may simply be too good to pass up. We'll be sure to keep you up to date as new information regarding the Fox sale is made available. This news comes to us courtesy of CNBC.